Unless you got up at the crack of dawn to vote (and sometimes even then), you were probably met with a pretty long line. In fact, some voters in highly populated areas are waiting hours to do their civic duty. If this is currently your life, don't be discouraged as the day winds to an end — as long as you're in line, you can still legally vote even if the polls close. This ruling caused quite the uproar this past Friday in Nevada. 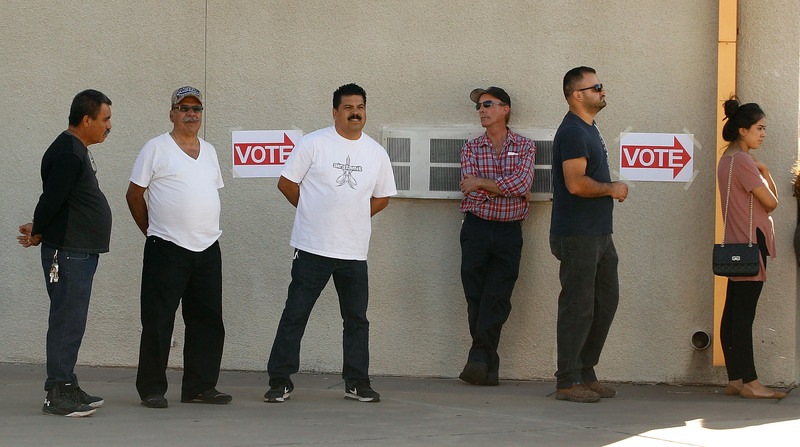 "So many people lined up to vote early on Friday, November 4 in Nevada that officials kept the polls open until 10 p.m. — three hours later than scheduled," Harrington said. Trump didn't agree with this decision and asked that those ballots "not to be 'co-mingled or interspersed' with other ballots," according to Ariane de Vogue and Tom LoBianco on CNN.com. The judge in this decision denied Trumps request since the voters who were counted were already in line. So, there you have it. If this happens to you, stick with it. Your vote stills counts.